Office 365 Business gives you the freedom to be productive wherever, whenever, using the familiar Office apps. With the ability to easily access, edit, and share your files from any device, you can get work done in the office and on the go, online or off. Always have the best and lastest version of Office on your desktop and in the cloud. Don’t worry about being out of date with new features automatically synced to your desktop, tablets, and smart phones. 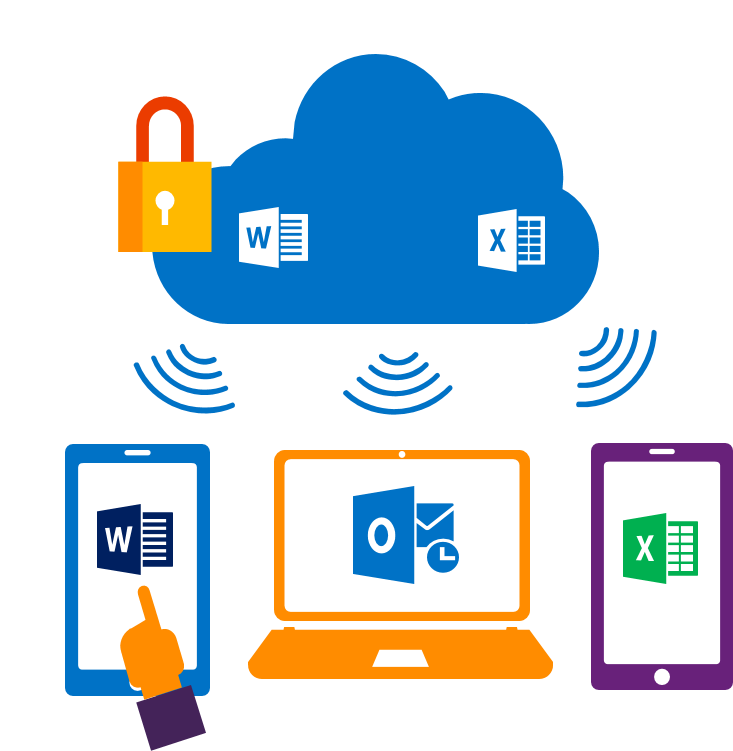 Work together easily and securely in real-time with built-in sharing and cloud storage in all your Office apps. With 1TB of storage, you can save files to the cloud, share files with the click of a button, and avoid the confusion of working on different versions of the same file. We believe in an open relationship. Which has helped us become one of the best IT companies in Nottingham. © Copyright Basic Business Systems Ltd. All rights reserved.